Switching so many hats at home and work to get it all done puts Catholic biz moms at risk of overlooking important, non-urgent tasks. Managing your intellectual property easily tops the list of ignored activities. Understanding intellectual property basics now could save you a lot of money and heartbreak in the future. Still not jumping off the couch to jump to action? Short-term Gain for Long Term Pain – Neglecting your IP needs now could mean that years down the road as your business and brand blossoms, you could be required to change the name or logo of your business should you be in violation of the intellectual property of another. This may have a disastrous effect on your following and your bottom line. Giving It Away for Free – Ignorance and inaction about Copyright Laws could land you with screwed book deals where you could lose the rights to your published signature systems. You could also have your content stolen without credit or compensation simply because you failed to include a copyright symbol at the bottom of every document, website, and social media site. Giving Away the Farm – Not recognizing what trade secrets you have and how to keep them protected could easily leave you with former employers without signed disclosure statements walking away with client lists, processes, procedures, and contact lists that took you years to accumulate. Even carelessness with computer security protection could compromise your intellectual property in the hands of the wrong person. An Intellectual Property Plan doesn’t have to be stressful. For great suggestions on simple steps to take, listen to Guy’s interview on “Catholic Mompreneur’s on Fire” Blog Talk Radio Show here. You can download his handouts here. Catholic Mompreneurs Biz and Life Tips: The best way to knock out and not neglect those non-urgent, important tasks is to block them out on your calendar. 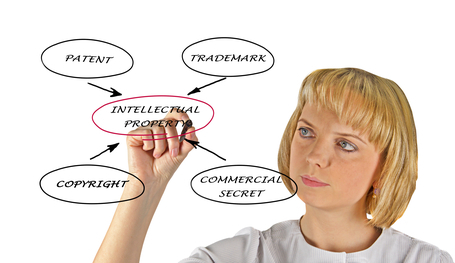 Be sure to schedule an hour to look at your intellectual property needs.